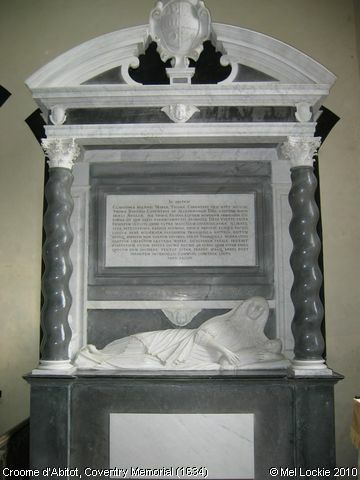 This is just one of several grand memorials to the Earls of Coventry in Croome Church. Obiit 18o Octobris 1634. Ætatis suæ 29o. This Memorial is on one wall of the Chancel. On the opposite side is a matching one commemorating Thomas himself, who died in 1661. Image contributed by Mel Lockie on 11th June 2010.